I try and use every opportunity there is to pamper myself. I don't have to do it with a friend but pampering all alone seems to work for me. Once a month I get my manicure and pedicure and I hit up the wax center. The person who introduced waxing I salute you! Ever since I started waxing a few years ago I've ditched my razors. Don't knock it until you try it. Sure it hurts in the beginning but as I've been telling everyone who'd listen, the next time is always easier. 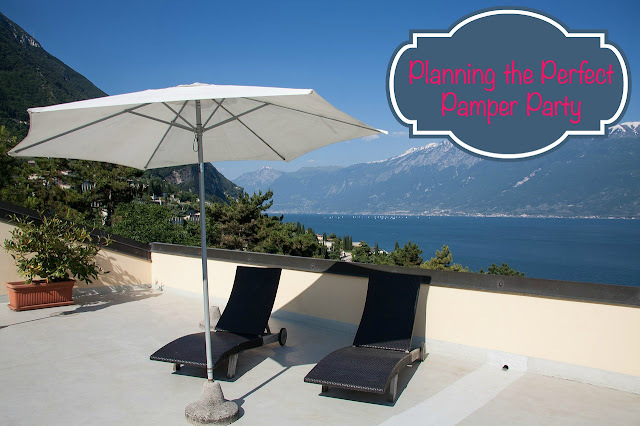 I have yet to host a pamper party for friends but my friend Alyssa Craig is here today to tell you how you can plan and host the perfect pamper party. date night - this can be for parent and child or for couples. Whatever your reason, you will want to make sure your guests come prepared for pampering. You can send out formal invitations or simply invite by word of mouth for a more casual event. Ask all of your guests to come in comfortable clothing (such as sweats or pajamas), as well as slippers or a robe, if they wish. It is best if women come without make-up if pampering will involve facials. As a fun party favor, you may consider providing headbands and elastics to keep hair out of the way. Facial Masks: Our faces take a lot on, from sunlight and pollution, to food, germs, and make-up. A great way to show your facial skin some love is with an organic facial exfoliator. It will leave your skin feeling fresh and clean. 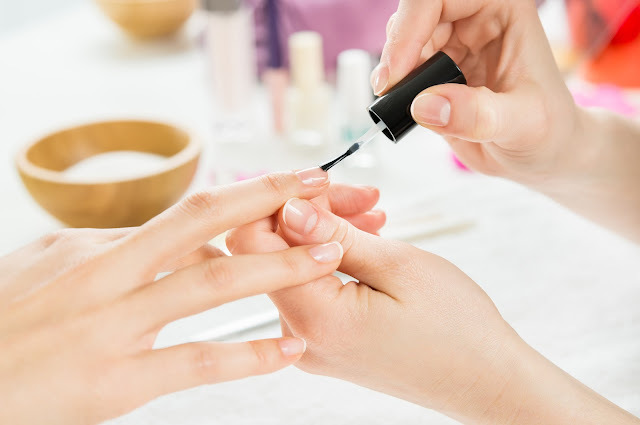 Manicures/Pedicures: A classic addition to any pamper party, make sure you have the supplies you will need for manicures or pedicures. You will need nail polish remover, nail polish, files, clippers, cuticle oil, and nail polish. Guests can either do their own nails or take turns pampering each other! Massages: You will want to make sure guests are comfortable with this one, but massages are always a great way to feel pampered and more relaxed. Shoulders, hands, feet, and the scalp are all great options for locations where you may have extra tension built up. Make-Overs: If your pamper party is a fun girls’ night, you might consider adding in makeovers, where girls can try fun new makeup tricks and hairstyles. For an added bonus, take before and after pictures. You can either email them out or print them off for guests to take with them. 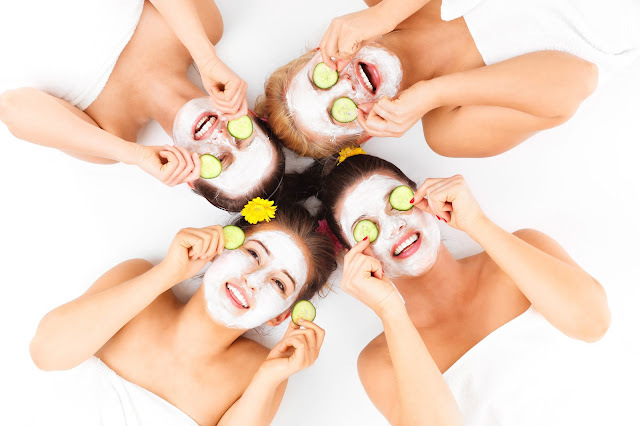 Leisure Activity: The point of a pamper party is to relax after all. Find a great leisurely activity that all will enjoy. This may be watching a favorite movie, playing a quiet game, doing yoga, or simply leaving time for gabbing. Remember, this is about taking it easy, so nothing strenuous during this party! Finally, be sure the setting is right. Create a soft ambiance with gentle music in the background and candles all around. Provide refreshments like yummy treats or fresh fruit. A refreshing drink (such as sparkling water and berries) or a warm tea are both great options for a pamper night. It is up to you to decide what will best fit the occasion, as well as the people in attendance. A pamper party allows you and your guests to leave feeling even better than when the party began. It also gives you the chance to show yourself a little love, or even serve others by helping them get pampered. So whether it is a simple night in with some added benefits or there is a legitimate reason to celebrate, start looking for excuses to plan your next pamper party. Let's discuss: Have you ever hosted a pamper party and what other tips do you have to share? Sounds like a great idea for a girls night in. Who doesn't love to be pampered? Now this sounds like a party that would suit me to a tee! Can I come??? I have never gone to a pamper party, not even for a bridal shower. We are planning a baby shower for my little sister, so the sky is the limit. I love the idea of a pamper party...it might be a good combo for a girlfriends birthday party. Oh, I so need a pampered night--and some bestie girlfriends! I miss being in mothers clubs, that was a great way to get out of the house! These are great tips! A party that all moms need to attend! I would love to be invited to a party like this! A party with all of these things would be amazing. Especially if there was some time in the sun! Sounds an awful lot like what my friday nights used to look like in college! Haven't had a good old fashion "Girls night" in ages! Time to gather the troops... my nails are a wreck! I could SO use a pampering right now. This sounds incredible. Great ideas! My sisters and I celebrate beauty day each year on the Saturday before Mother's Day and it is a wonderful time to pamper and enjoy each other. I would love to get invited to a party like this. I have got to tell my girlfriends about this! Sounds like a fun idea! Would be nice if someone can also throw me a party!